Adam Naruszewicz, Polish nobleman, 19th century. 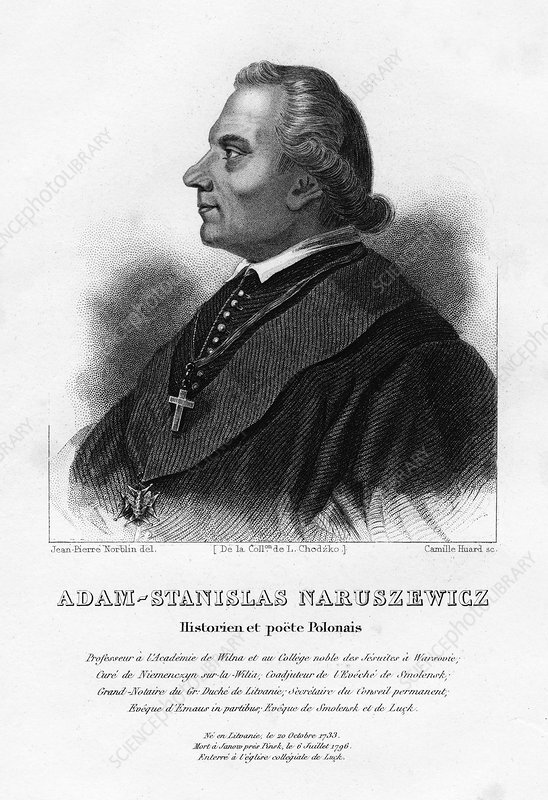 Naruszewicz (1733-1798) was also a poet, historian, dramatist, translator, publicist, Jesuit and titular Bishop of Smolensk and Luck. Artist: Camille Huard.